1.4m high along with exceptional ground clearance. Kinder on the operator and the machine. Carbon filtered air conditioning, air seat, good head and leg room for the average sized person. Along with great visibility. Directional air - the only fan on the market that is built solely for spraying Kiwifruit on pergola. Double spray rings allows more options and better coverage, infinitely variable fan speeds. Two speed hydrostatic, allows infinite number of operating speeds without compromising the PTO Speed. Compromising the PTO Speed. This means the right speed every time regardless of the terrain. 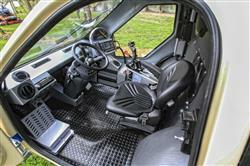 Gives ultimate driver comfort and is Kinder on both the operator & machine. 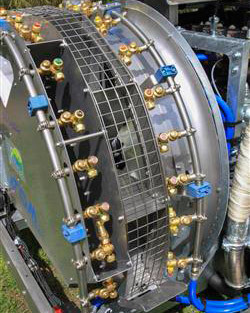 · Double Spray Rings allows more options and better coverage, infinitely variable fan speeds. · Greater flexibility and better efficiency, cuts out the need for bidirectional spraying. · Full stainless steel construction. · Front drawing fan, makes for cleaner air, avoiding chemical recirculation and leaf fouling. This in mind. 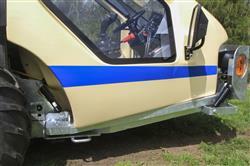 With easy access to Radiator, Air Filter, Spray Pump and filtration. 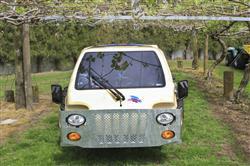 The TeeJet 844-AB is designed exclusively for orchard and vineyard sprayers. Fully customized to this product. Computer-controlled spraying has never been so easy. Volume sprayed, system pressure, sprayer speed and area covered. The built-in planning tool on the 844 automatically displays the speed needed to achieve the target rate with the specified tips. It will also calculate the pressure necessary for achieving the target application rate when the speed is entered. 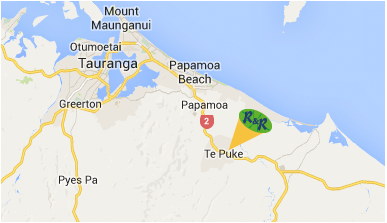 · Carbon Filtered Air Conditioning, Air Seat, Good Head & Leg room. · Along with great visibility. Single hand transmission control with Total spray control incorporated into the same lever. · Triple flow agitator for continuous chemical mixing. · Axles HD Epicycloid gears with Limited slip differentials. Height; 1.4m high along with Exceptional Ground Clearance.